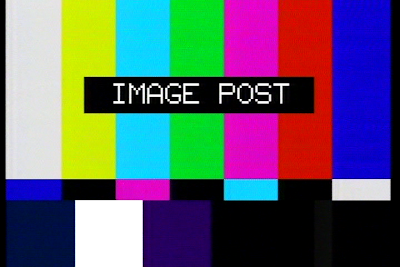 Kentai's Films: Composite vs S-Video: ROUND 2, FIGHT!! 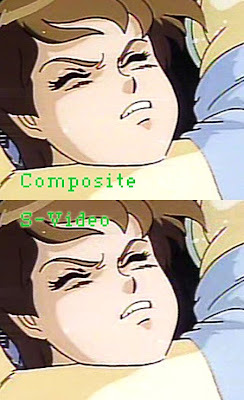 Composite vs S-Video: ROUND 2, FIGHT!! Ignore the severe compression artifacts for now. Sure, both of these shots look kinda "blah", but at least one isn't dramatically better than the other. In this shot there's less rainbowing on the composite shot, though interestingly her left brow looks worse via composite, while her right looks better via S-Video. Still, largely the composite connection is giving me fewer rainbows, and not at a dramatic increase of noise or other notable artifacts. Ring around the collar, you say? Not via composite! Good lord, it's like watching a calibration disc vomit... I'll find my Akira LD and see if that pattern is substantially better. If so, then the player isn't to blame on this atrocimacy.